Literally translated, the word ‘dim sum’ means ‘touch of the heart.’ These little bite-sized pockets of savory steamed flavor are supposed to touch your heart while you enjoy a casual meal with friends or family. One of our favorite chefs, Chef Kamal at Noodle Bar has provided a conciliatory menu to appease all palates. 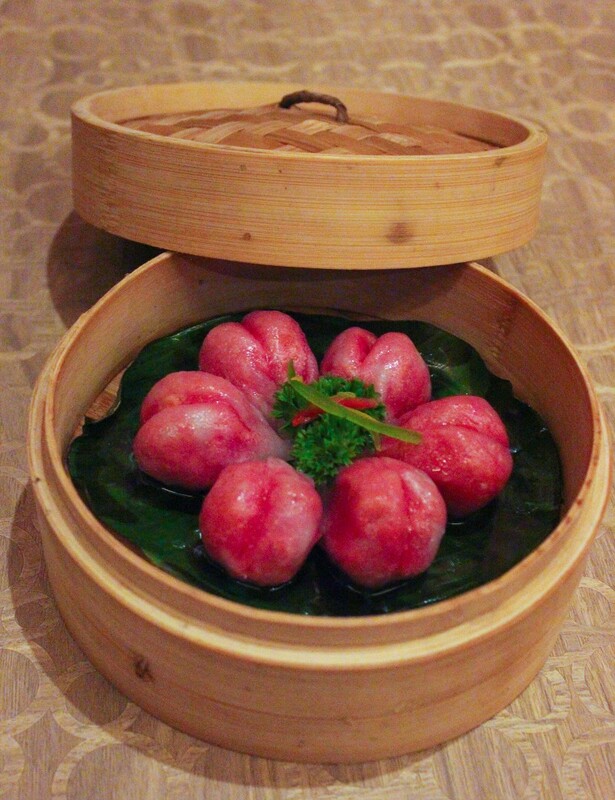 With ultra thin coatings, these steamed dim sums give you an excuse to tuck in and relish as many as you would like. We had an assortment ranging from the classic steamed, pan seared, deep fried and premium chef’s specials. Served with the sauces that are meant to compliment the meal, the dim sums were served in the little baskets that keep them fresh and enduring. For the non-vegetarians, there is a variety to choose from. The menu offers Steamed Chicken- Mango Chilli, in which the coating seemed to be the mango chilli sauce over the succulently steamed minced chicken. If you enjoy a sweet with some tangy flavor, this could be your call. They also serve the Pulled Chicken Roll, a Lemon Grass Chicken, the Black Pepper Lam Roll, a Prawn and Chicken XO and Almond Prawns. 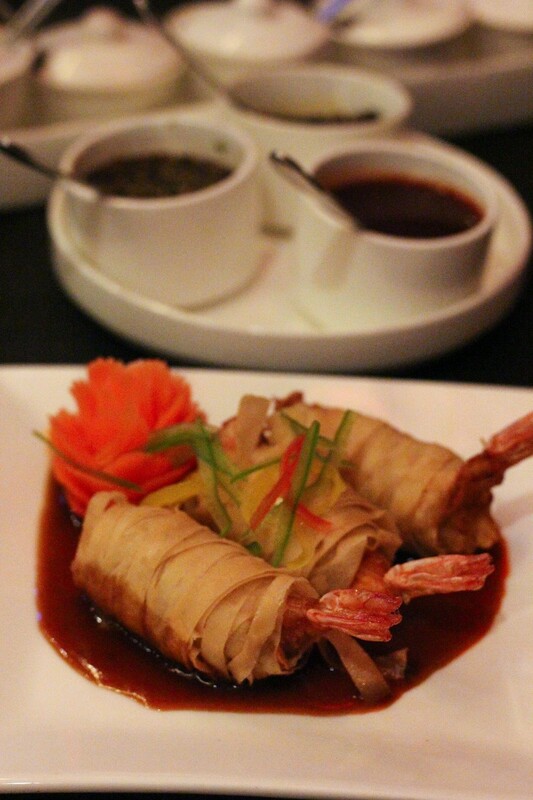 Our particular favorites were the prawn and chicken XO as well as the almond prawns. There was perfect balance between both the meats, each protein complimenting the other, cooked in the special XO sauce, which is mildly spiced. We absolutely loved the prawn, which were coated in in crisp phyllo sheets and had a lovely bite. Prawn lovers, this one is for you. The vegetarian menu gives you much to choose from. 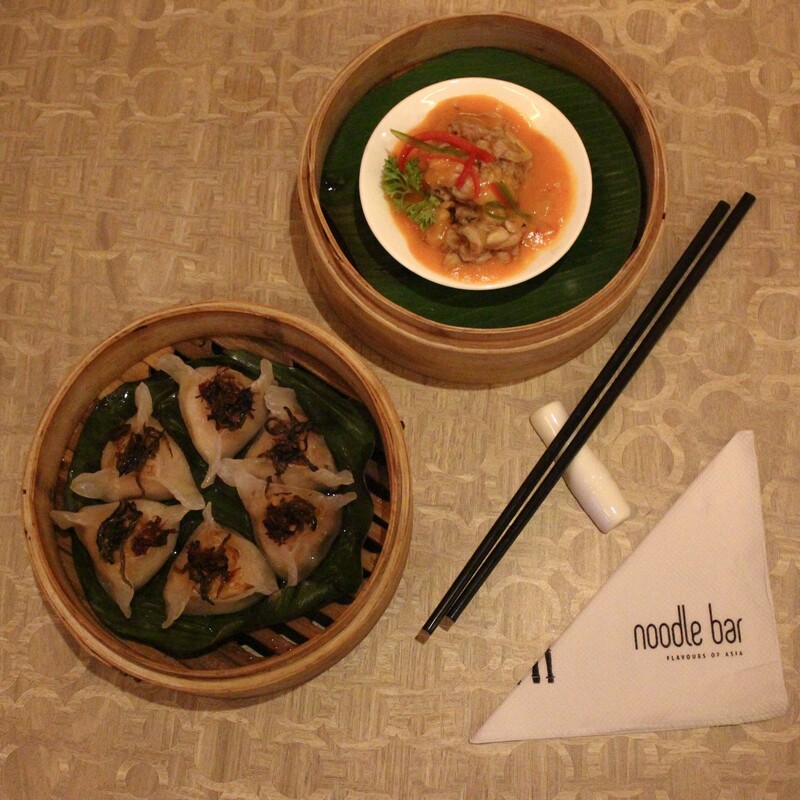 We tried the Grilled North East Asian Vegetable dim sum, the creamy vegetable taro and the spinach and corn dim sum. The pan seared coating the northeastern vegetable filling with hints of Sichuan pepper turned out to be the winner. We needed a little bit of a punch in the creamy taro to satiate our flavor finding palette. 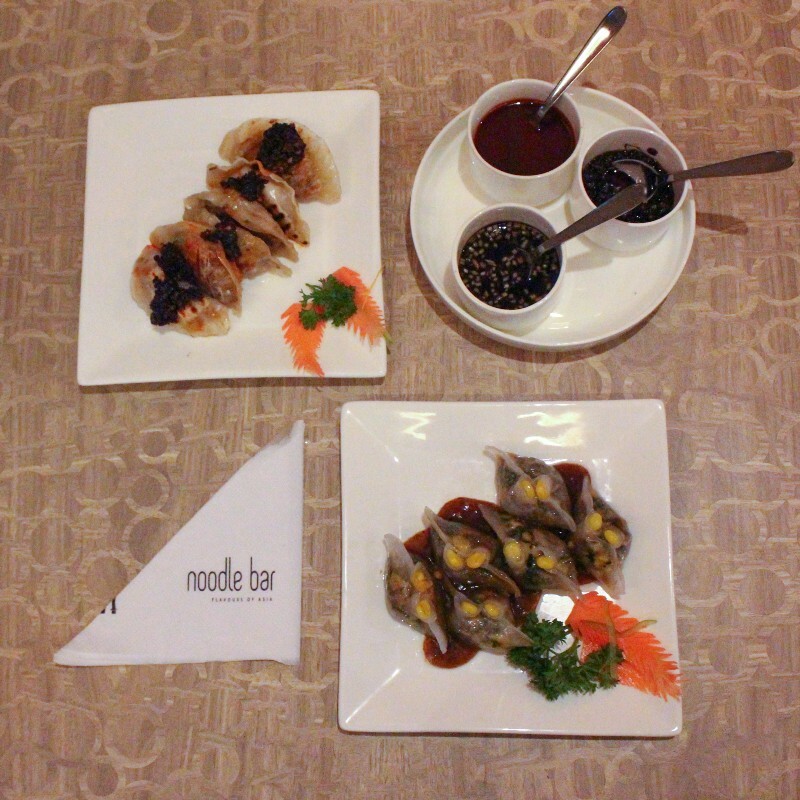 Head to the Noodle Bar closest to you to soothe yourselves with these warm appetizers, or be like us and just indulge in each type filling yourself with these bites that ‘touch the heart.’ It’s a one stop to savor all things Oriental!